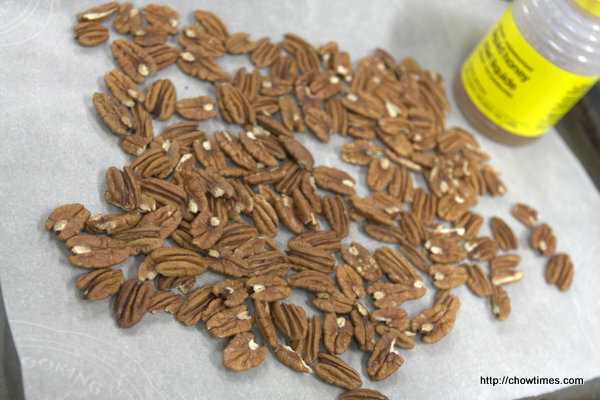 Michelle made some Honey Roasted Pecans at the South Arm Older Adults Cooking Club, just to use up the pecans in the pantry. 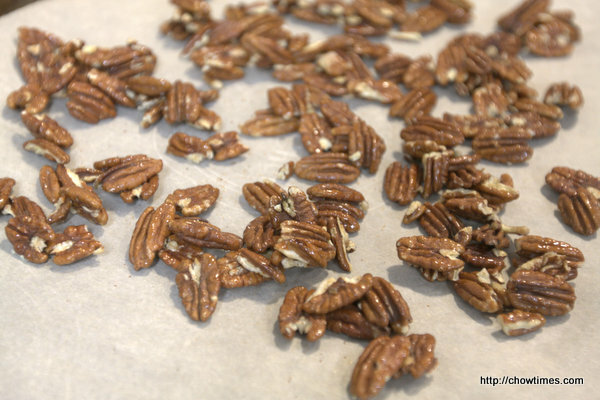 These Honey Roasted Pecans are great for snacking without the excessive salt from store bought one. Preheat oven to 250 degrees Fahrenheit. Spread nuts out on a parchment-lined baking sheet. Bake in the oven for 5 to 7 minutes. Transfer warm nuts to a medium bowl. 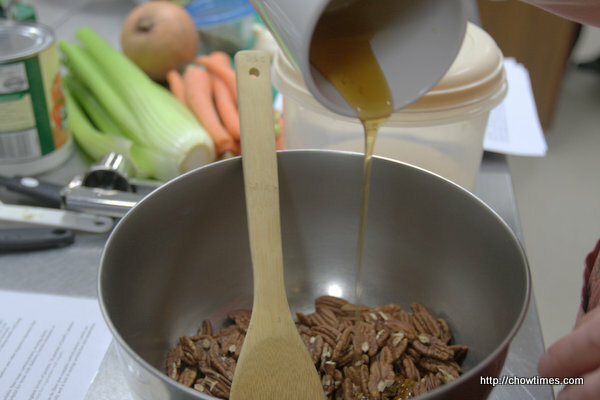 Quickly drizzle the honey and sprinkle salt over the nuts and stir until they are well coated. Return the coated nuts to the parchment-lined baking sheet and bake for 1 1/2 to 2 hours, rotating once. Remove the nuts from the oven when it smelled like the honey was starting to caramelize (a tiny bit smokey). Sprinkle on a pinch of salt (if desired) and quickly separate any clumps as the honey will harden as the nuts cool. Allow to cool completely and serve. Store in an airtight container at room temperature for up to one week. Thanks for your blog which I read with interest. Question: Returning the nuts to the oven to bake for 1 1/2 hours seems a bit too long. May be 1 1/2 mins. Please verify. Hi Chi Mei, It’s 1 1/2 hours because the oven is on low temperature.